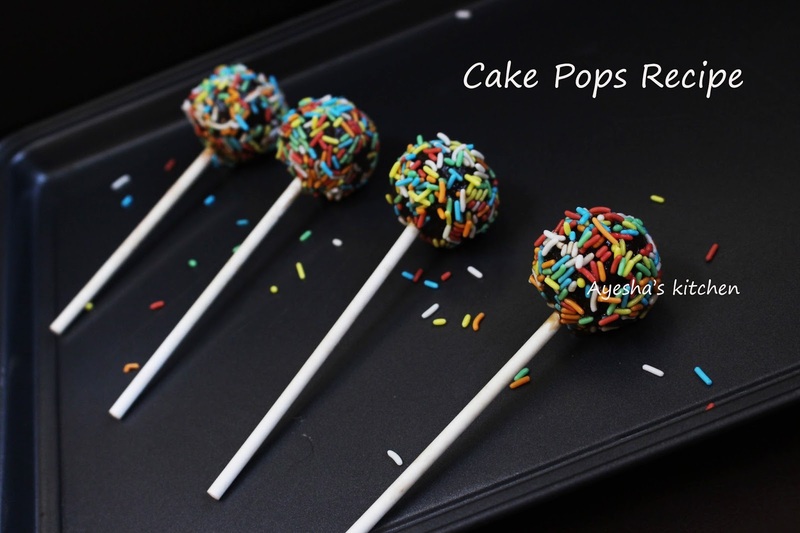 ' Cake lollipops ' my kids favorite sweet treat. Making cake pops are much simpler than a cake recipe. Its perfect for a kids party, weddings, birthday party and even for an afternoon tea. These simple easy party cake pops are too easy to decorate and adapt to suit the occasion. You can either make the cake and then frost or can use leftover cakes, that might be the best. You can make colorful cake pops as your kids birthday gift idea. Christmas cake pops and chocolate cake pops are my favorite cake pops as it looks gorgeous. This nutella cake pop is a must try the pop recipe. I never thought of making this easy best cake pops at home. Try to make cake pops at home. Hope you all love nutella desserts and give this a try and let me know how it turns out for you. Here is the recipe showing how to make a cake pop with nutella / chocolate nutella cake pop /. Any cake of your choice - (around 2 cups, crumbled)..here i used leftover black forest cake. I just keep few pieces of my each cake for making such cutie cake pops. Take chilled cake (leftover or cake made from scratch using any cake recipes) and crumble it with your hands. Add in nutella spread and mix well. (Do not add too must frosting than required, else u won't get the required texture). Mix gently and knead to a soft dough. Take a small portion of this dough(lemon sized) and make a smooth small ball. Continue the same with the soft dough. Keep it on a parchment paper and chill it for an hour. Meanwhile, melt dark chocolate/diary milk over a double boiler in a low flame. Stir continuously while melting. When done, remove from flame and stir gently well. Add oil and mix well. Now take a lollipop stick and dip it lightly in melted chocolate. Press it into the chilled balls. Chill it for another 30 minutes. When done, take the balls and coat it with the melted chocolate. Coat with sprinkles and let it dry in a cool place.